Readers often write to me with questions or thoughts on a Vermont restaurant. 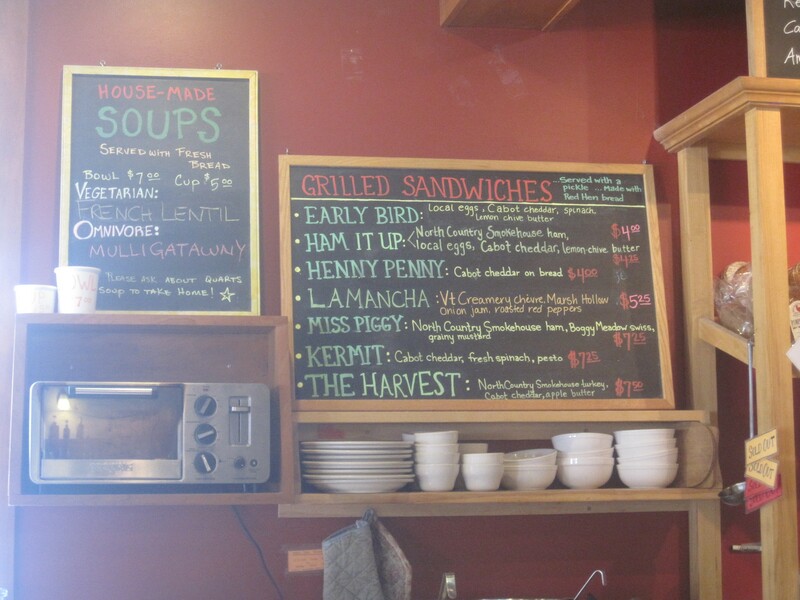 Recently, one person shared his feelings on Middlesex's Red Hen Bakery & Café. "Likely stop again? No!" he declared. I told him I'd get down there to give my two cents as soon as possible. He may be disappointed to know that I disagree with his review. The cozy shop and café isn't fine dining. 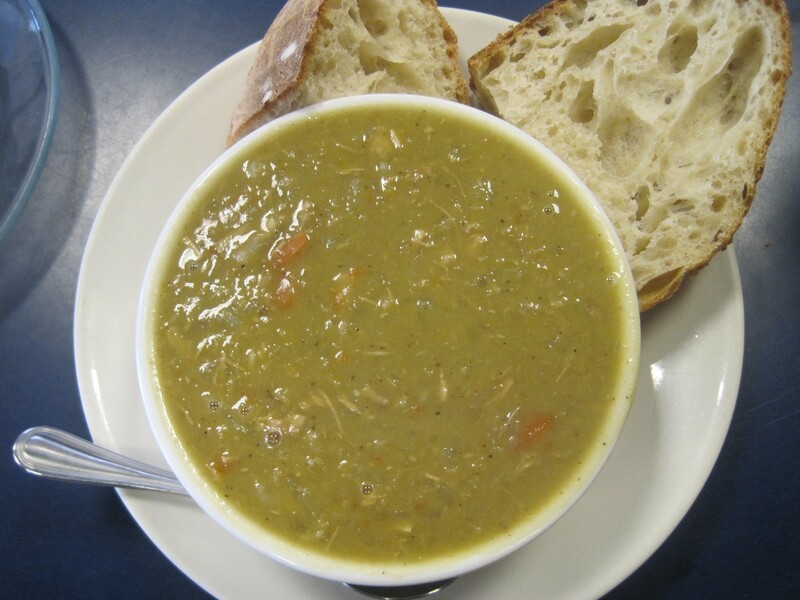 Two soups are available each day, along with a selection of sandwiches and a wide range of pastries. The reader's unfavorable comparison to Burlington's former sandwich landmark, Carbur's, was unfair. While the latter was focused on big sandwiches with lots of options, Red Hen is all about quality local ingredients, prepared with restraint. Counter service was exceptionally friendly. The staff not only answered my questions with aplomb but continued to take care of me well into my meal. The gentleman behind the counter insisted on bringing me and my dining partner a second soup spoon for our single bowl, even after I'd already fetched one from the counter myself. Hyper-helpful service, but not invasive. While we waited for a couple panini, we dove right into the day's "omnivore" soup. I've long been a devotee of Red Hen's soups and stews at tasting events, but the mulligatawny was my first time getting a whole bowl. I usually think of the Anglo-Indian classic as a blended lentil soup. This was chunky with chicken and veggies. The bowl sang with ginger, unexpected but tasty. The slices of bread on the side were ideal for dipping and retrieving pieces of tender chicken. My correspondent's major complaint was about the sandwiches, however. He argued that the panini were understuffed. My interpretation was different: At a bread specialist, the grilled sammies were a showcase for the wrapper more than the filling. But the insides did have a great deal of character on their own. On the Ham It Up breakfast sandwich, funny little cylinders of egg were dressed in lemon-chive butter. A thin layer of North Country Smokehouse ham was held in place with Cabot cheddar on rough-hewn Mad River Grain bread. At only $4, it was a small sandwich, but well worth the cost. The all-local Cyrus Pringle bread was the showpiece of the Harvest panini. 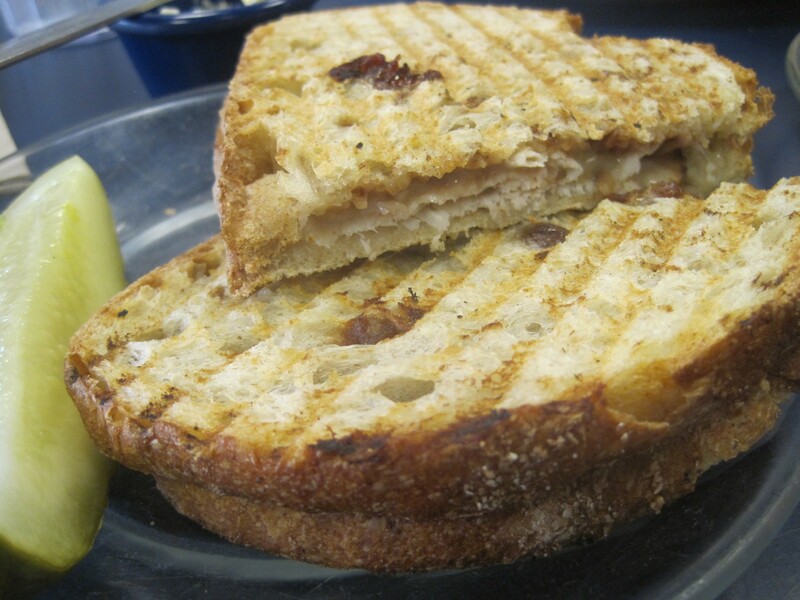 The sandwich was spread with sweet-and-tangy apple butter, and the fruity condiment oozed out onto the panini grill, leaving caramelized clumps on the outside. North Country Smokehouse turkey and Cabot cheddar were almost an afterthought, the bread and butter were so delicious on their own. I have more of a meat tooth than a sweet tooth, but dessert was my favorite part of the meal. 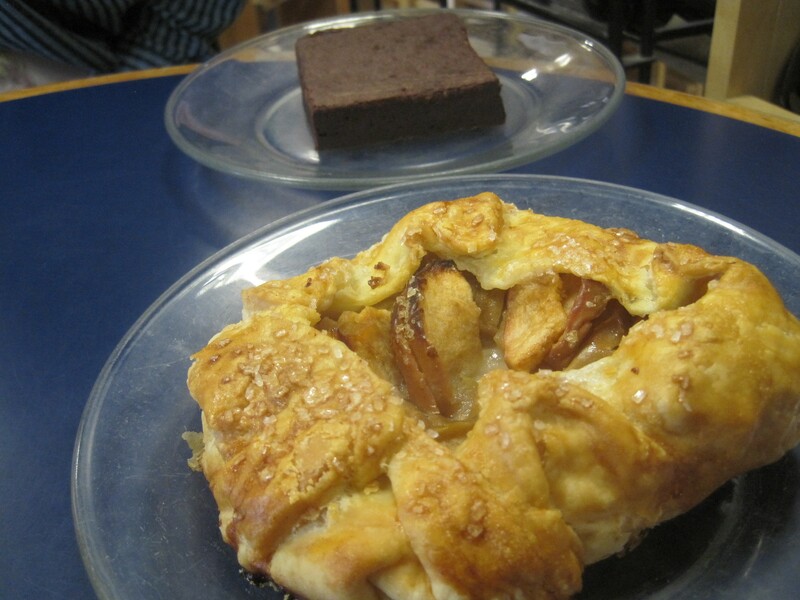 The apple gallette looked like it had the potential to be stiff, but it fell apart in easy flakes. 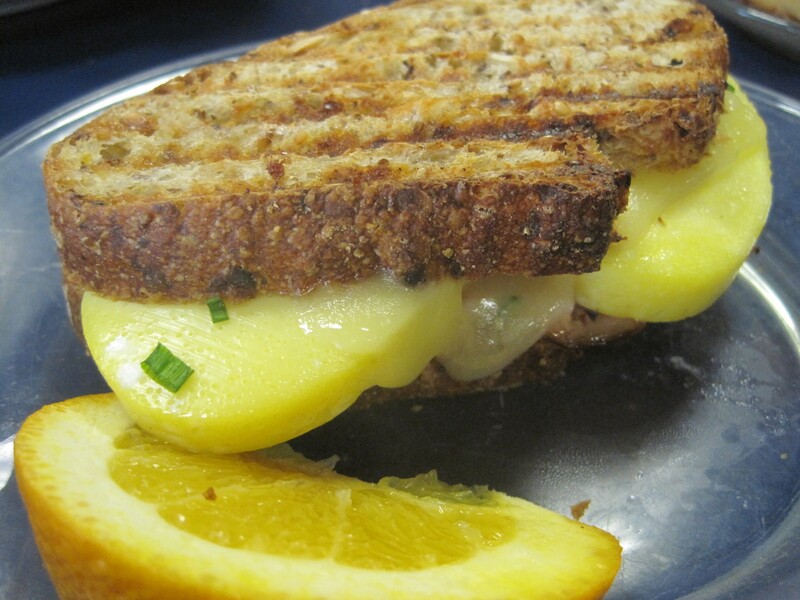 The apples within hit a delightful balance of sweet and sour, but, as with the panini, the dough spoke for itself. The chewy, tender spicy brownie was a success, too. I was impressed with how the flavor blossomed, from chocolate to cinnamon to chile, as I chewed each bite. And with all that food, I brought most of it home. The Gobstopper-like delights had me covered for two more dessert times.